I really don't know which is the stranger thought - the bizarre experience of hearing a human voice coming out of a machine for the first time, or the fact that nowadays we take it for granted. OK, let's go history adventuring! Today we're time-traveling back to old-time Phoenix to be astonished by the latest technology, human voices coming out of machines. 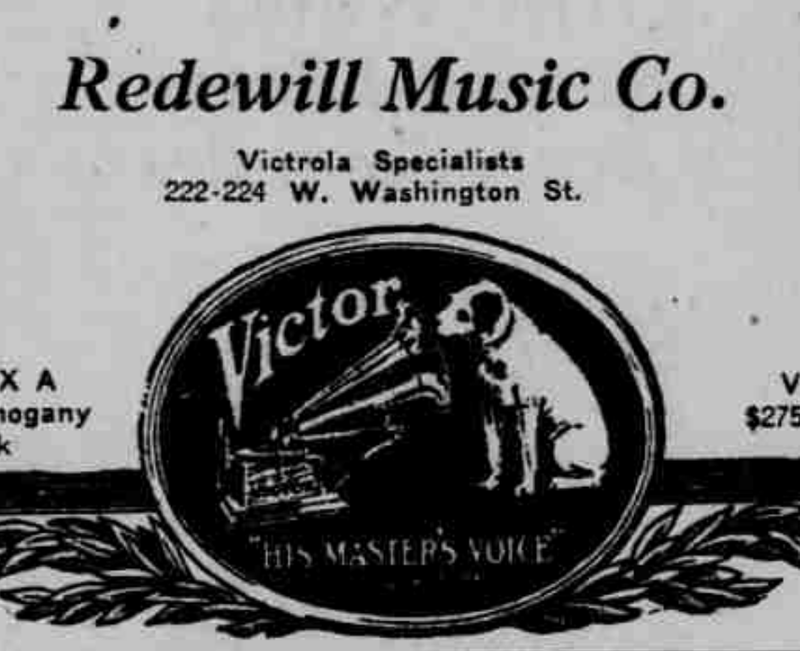 Let's go over to the Redewill Music Company, at Washington and 2nd Avenue. They have talking machines there. 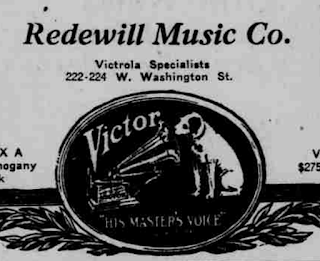 It's the place that has the picture of the dog listening, and hearing his master's voice. I can't imagine, but a lot of people have told me that it's not only possible, but it's been around for a long time. Here we are. What? No, we're just looking. Say, do you have one of those talking machines, like the one in window that the dog is listening to? Yes, I understand that they're so amazing that you'd think someone was right in the room with you, talking. What will they think of next? Wow, now that's amazing. I think I'll just sit here for a while if you don't mind. You do? OK, we'll move along. What a world we live in! I wonder if someday people will just take this for granted?